GuideofUS Hawaii offers our visitors unsurpassed ease in booking their ideal Hawaiian vacation activities and tours- from horseback riding, snorkeling, luaus, and practically anything pertaining to Hawaii adventures. When planning a visit to Hawaii, we encourage travelers to remember that we are proud to proclaim ourselves as the Hawaii Guide. 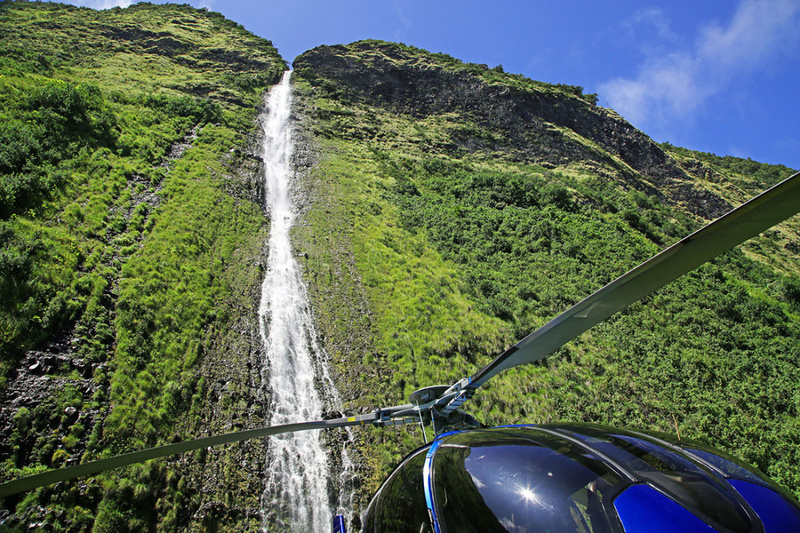 What type of Hawaii excursion, tour, or activity should I take? Well… are you more laid-back and like to relax? Then how about a cocktail cruise? Up for an adrenaline rush? If so, then skydiving might be on your bucket list. Nature lover? Then a garden tour is perfect for you. Many visitors like to book a nice mix of exciting, educational, and relaxing activities to strike the perfect balance of Hawaiian vacation bliss. And because we’ve done all the work for you, all you have to do is decide what your Hawaiian dream vacation should look like. When is the best time to take a tour in Hawaii? In a nutshell, this will vary from activity to activity and from one island, as well as area of an island, to another. For example, the summit of Mauna Kea can experience snowstorms in the winter and roads may be closed. However, if you want to see humpback whales, winter is the ideal time to take a tour. We invite you to explore each island’s When to Visit, Weather, and Regions Guides, where you’ll find a wealth of information about conditions, activities, and attractions in the area you’ll be visiting. And, of course, don’t hesitate to contact one of our travel professionals with questions- we’ll be glad to help you. How many people will be on each tour/activity in Hawaii? That depends on the type of activity or tour you choose and may vary depending on how you customize your tour if that option is available. For instance, some of our activities may see you sharing a tour with a certain number of strangers, as that’s how that tour operator runs that activity. Or perhaps they give you the option of reserving those spaces for your own personal group. You will even find tours for only one person where you could, for example, hike by yourself with a guide. However, all of the tours and activities featured on GuideofUS Hawaii will specify if they run as groups, if they are customizable, and how many people may participate. Make sure to pick the style that’s best for you. How much physical exertion is required for a Hawaiian tour? If the activity or tour you choose has weight, age, height, or physical fitness requirements, these will be very clearly specified in the tour description prior to booking. If you feel that a particular adventure may be too strenuous, there may be other similar adventures offered that are more appropriate for your fitness level. For example, you may consider a shorter or less inclined hike, or perhaps just a zip line run as opposed to a zip, hike, and swim combo tour. Additionally, some tours can be customized to provide the perfect adventure for you and your group; again, this will be noted in the tour description. And because we work with only the best Hawaiian tour and experience providers in the industry, if an accommodation can be made, you can bet they’ll bend over backward to do so. What do I wear for my tour or activity in Hawaii? This will vary from tour to tour (snorkeling vs. hiking, for example) and your activity provider will specify any clothing or footwear requirements or suggestions. And please, if they make a recommendation, heed their advice! There’s nothing worse than being in paradise and being miserable because you were cold, didn’t have the right shoes for walking, or couldn’t fully participate because your clothing was inappropriate. Also, many activities provide safety gear you will need; this will be clear to you before you book. Why take a Hawaii group tour instead of taking it alone? There are several advantages to taking a Hawaiian group tour. First, it’s simple and worry-free. Many group tours offer pick-up and drop-off services, so transportation isn’t an issue. Plus, if you’re not driving, you can simply sit back and enjoy the ride and not worry about getting from Point A to Point B. Second, taking a group tour means you’ll have an expert guide; one who knows where to find the best of everything- from snorkeling spots, to mountain lookouts, to waterfalls, to historical places, and everything in between. The intimate local knowledge of a guide is priceless. Another plus is safety. For example, if you’re worried about negotiating the hairpin curves of the Road to Hana while trying not to miss something, a guided group tour is for you. You should also consider how much fun a group tour can be- everyone with you is excited about the same adventure as you are. It’s a great way to share an experience and even make new friends. Where do I get picked up and dropped off for my Hawaii tour? Some of our activity providers offer this service; while others do not. If your tour provider does include this as part of your tour package, this will be specified in the activity description and during booking. You will also know how this will be coordinated; for example, if you’ll be picked up at your hotel, if you must meet at a certain location, etc. No matter who you are, who you’ll be traveling with, or what your physical limitations are, we’re certain you’ll find the perfect tour for your needs on GuideofUS Hawaii; as we really do offer something for every type of traveler. Be sure to read the complete tour description to find out if, for example, children under 5 are permitted, or if wheelchairs can be accommodated, etc. Of course, if you need additional information, feel free to contact the tour provider with questions or concerns and they’ll be happy to help you. Who are Hawaii tours tailored for? Are children permitted? We offer something for absolutely everyone- young or young at heart, triathlete or professional couch potato! Whether you’re looking for a multi-day hike of a lifetime, a historical tour or two, or just want to lounge on the beach, GuideofUS Hawaii has the perfect experience for you. Some of the tours we feature do have a certain age or physical requirement; if so, those will be clearly specified before you book your tour. Which tours are the cheapest in Hawaii? We are fortunate to work with both visitors to the Hawaiian islands as well as with tour providers who are committed to sharing their passion for and knowledge of the islands with you. Our unique perspective allows us to appreciate that you want the absolute best value for your travel dollars. At the same time, we understand that our activity providers work very hard to give you a safe, memorable, and truly exceptional Hawaiian experience. We have not chosen our providers or activities based solely on cost; that would not be fair to our visitors or to our providers. Ultimately, it’s not about finding the ‘cheapest’ tour, activity, or lodging, but rather the one that gives you a superior Hawaiian experience for your travel budget. We are proud of our selection of Hawaiian activities that offer memorable adventures for every travel style and wallet. Who will my Hawaii tour guide be? Many of our tours and activities provide a guide, while some do not. If your adventure is guided, we can assure you that he/she/they will be among the best on the island you choose. Our providers employ accredited, highly-trained, experienced guides who not only live and play in the islands; they also are committed to sharing their passion and love for Hawaii with you. This will be evident in their commitment to giving you a fantastic adventure you will treasure forever! When is the best weather on the Hawaiian island I’ll be visiting? It’s difficult to generalize by lumping all of the islands and regions therein together. Plus, this is a tricky question because Hawaii is the tropics, after all, and weather in the tropics can be fickle. Simply put, don’t worry too much about the weather- temperatures are generally comfy and rain clouds will likely soon pass within a matter of minutes. With that said, keep in mind that Kauai is home to one of the (if not the) wettest spot on Earth and the Big Island is home to 11 different climate zones! We recommend keeping abreast of forecasts before and during your stay and remembering that rain showers often pass quickly. Also, our website has in-depth information about general weather patterns for each island, so you’ll have a better idea of what to expect where you’ll be staying. When is the best time to see whales in Hawaii? Humpback whales migrate yearly to Hawaii’s warm waters. Whale ‘season’ runs roughly November through May; however, the majority can be spotted in January through March. February is generally considered peak season. Your tour guide will know exactly where the best spots are to appreciate these majestic creatures. When is the best time to participate in my activity of choice on the Hawaiian island I’ll be visiting? If there is an optimal time of year, time of day, or season to enjoy your adventure, this will be made clear in the tour description before you book. More specifically, if you need to plan your daily or weekly adventures, each tour will also specify approximately how long the adventure lasts so you can add other activities to your agenda. Start off your morning with a hike, snorkel in the afternoon, and unwind and relax with a sunset dinner cruise- perfect! Why am I booking with GuideofUS Hawaii rather than with the tour operator themselves? We are your one-stop Hawaii travel website- our goal is to save you time and effort so you can simply plan, book, and go. We have chosen the most amazing sights and activities in the state, and, most importantly, only the absolute best service providers in their respective industries. Plus, whether you need help selecting an activity or crafting your week-long itinerary, our Hawaii travel experts are ready to assist you. Book with confidence and the knowledge that our offerings give you the ultimate Hawaiian experience and best value for your travel dollars. We are proud to call ourselves the Hawaii Guide. Additionally, GuideofUS Hawaii sets aside a portion of our proceeds to support sustainable and environmental charities that work to preserve the beautiful Hawaiian islands for future generations. Why don't I just wait to book when I get to the island? Because once you’re in Hawaii you should have your toes in the sand, or in the pool, or at the top of a mountain, or flying over a lush valley! Let’s be honest: for many people, going to Hawaii is a once-in-a-lifetime opportunity. For others, maybe once a year or so. Either way, your time in the islands is precious and limited and you most certainly do not want to be spending it trying to choose an activity, crossing your fingers for availability because you waited so long to book, and trying to schedule your activities while you should be enjoying yourself. It’s your vacation time- use it wisely! Who do I call with questions, to cancel, etc. once my tour is booked? After your tour is booked you will receive the provider’s complete contact information and all the details of your tour. Should you have any questions about your activity or need to reschedule or cancel, please call them directly so they may help you as quickly as possible. When is the best time to book my tour? The best time to book your tour is now… the earlier, the better. Your vacation time is limited. Why would you wait until you get to Hawaii to research, choose the best date and time, organize schedules with your travel companions, etc.? Our goal is simple: we want to be your ‘one-stop’ Hawaii travel website. That’s why we’ve done all the work for you; so you can start making your Hawaii vacation dreams a reality! How do I choose a tour/activity? We understand so many choices can seem overwhelming, but we strive to offer a wide variety of activities for every type of traveler. However, we have carefully handpicked only those adventures we feel highlight all the best Hawaii has to offer- both in terms of experience as well as customer satisfaction. So how do you choose? First, decide which island you’d like to visit by taking our Which Hawaii Island to Visit quiz. Second, ask yourself how you’d like to experience Hawaii- whether that means lounging poolside, parasailing, or both. Then, simply book your adventure, dust off that suitcase, and go. Each tour or activity provider sets their own guidelines for cancellations, and these are outlined in the activity descriptions before you book your adventure. We could go on at length about the nuances of Hawaii’s weather; simply put, it’s very localized and can change from moment to moment. The best part of this is that you can experience the Aloha State in all its glory- from the sun to misty rainbows to dewy rainforests. Locals have learned to just get out and enjoy the state’s marvels, and your tour will likely run rain or shine. Of course, extreme weather situations may be the exception to this, and your tour provider will inform you of any necessary weather interruptions. How do I know my purchase/information is secure? / Are there any additional fees? GuideofUS Hawaii only works with established industry-verified financial transaction processors to ensure both an easy-to-use and highly secure checkout process. Your financial information– like credit card data– never even touches our servers and is always processed over a completely secure connection. We don’t like hidden fees and we know you don’t, either; that’s why GuideofUS Hawaii will never surprise you with additional charges. However, some of our providers do add charges such as taxes, fees, or fuel charges. These expenses will be made known to you when you book your tour. As a perpetual part of our mission, a portion of all tour and activity bookings are periodically provided to sponsor local Hawaii charities aiding in cultural and environmental causes within the Hawaiian Islands.